So summer is upon us, and Facebook will soon be full of holiday snaps from a rash of exotic beaches around the world. Which is great if they’re yours, but less fun when you’re looking at them from your desk, with its ineffective air con, wilting rubber plant and view of the skyscraper next door. Be sure to abandon your laptop in favour of a backpack (worn on both shoulders, naturally) and hang a digital SLR around your neck so you fit in with the crowd. Then relax as the usually frustrating journey to the office becomes a mini staycation adventure in your own town. 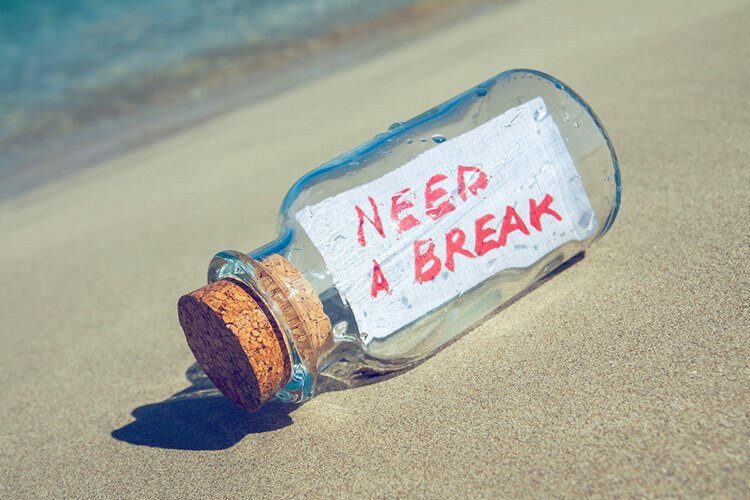 You’re not the only one who isn’t eating paella and swigging sangria on the Costa del Britsabroad – your colleagues are bound to be feeling the effects of the green-eyed holiday monster too. What better way to boost moral than to get everyone out of their shirts and ties and into something far more suited to a resort theme night? If anything’s going to distract you from the why-am-I-here-when-it’s-sunny-outside blues, it’s a cold glass of something cheerful. Even if you decide that vodka at midday is probably not going to help you balance the accounts or proof read that report, a well made summer mocktail can do wonders for the soul. Granted, this one may be harder to pull off, but if you can get everyone on board (and we suggest trying this after the cocktails, assuming you were able to persuade the manager to let you have real ones) the sound of non-English chatter should help you feel like you’ve escaped home shores for a little while. If you can’t go to the beach, the beach must come to you. If anything signals being on holiday, it’s the feeling of sand between your toes, and this particular summer survival kit is so easy to make (helpful hint: sand is readily available at any good DIY store, or your kid’s sandpit). Of course, you could always book yourself an actual real life holiday. In which case, we’ve got one final summer survival tip – make sure you don’t forget data security while you’re gone. Thieves tend to see the holidays as a chance to notch up a little overtime, so get your documents stored securely, either by locking them away at an alarmed and monitored unit like ours or by transferring them to protected digital formats. Then lock the door behind you, and forget about it all for a week. Oh, and before you go, don’t forget to send these tips to the colleagues you’re leaving behind – after all, if you’re going to make them look through your exotic Facebook snaps, you should at least give them the tools to survive a summer stuck in the office.